Reading quite good. Don't expect it to be like the movie. They're each good in their own rites. This was an excellent rendition of the story the man who would be King and Mr. Harrison did a remarkable job of bringing to life the characters within the story by changing his voice to lend each character its own personality. I would definitely purchase another audible book read by this man. Very enjoyable. wasn't the easiest story to get into the lexus is much different than that of my every day life the performance was good. 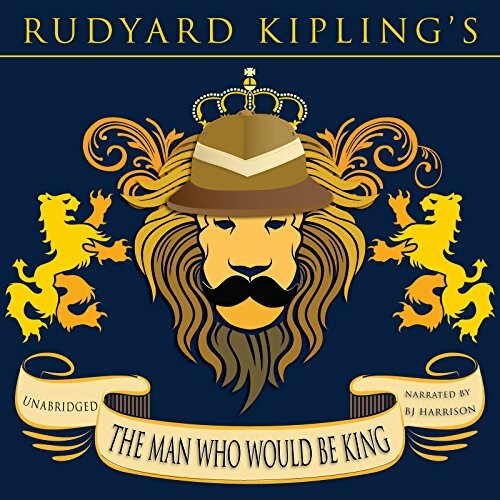 B. J. Harrison does a great job narrating this interesting story by Kipling. It is short and interesting. I can't compare this to other readings, but this is far preferable to the David Ian Davies. While a distinctly British reading, Davies' Irish and Scottish brogues are so authentic as to render his reading of the story unintelligible. It's abruptly poignant. Dan the narcissist becomes Dan the king when he's been stripped of his position. but comes into his nobility. The story follows two crooks from England, as far as I remember, who travel to Middle East and become kings; and by disregarding the previous beliefs they had loose it all.